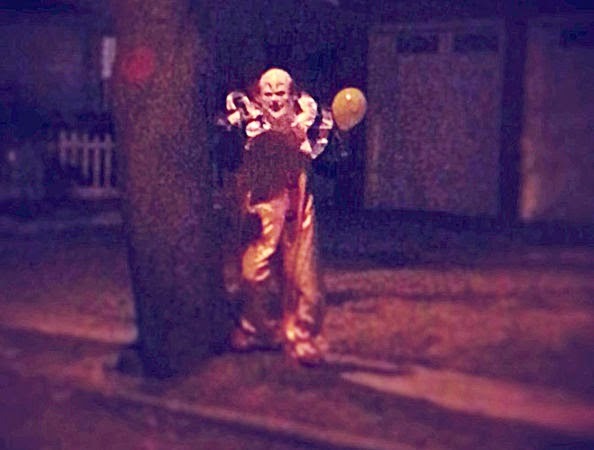 "He was just waving and holding balloons..."
How do feel about... clowns? Well a lot of people find them really, really creepy. So many in fact that there's a name for the intense fear of clowns: Coulrophobia. If you happen to be a coulrophobiac and have plans to visit Long Island, you might want to change them due to the recent epidemic of Evil Clown sightings there. And, just like Bigfoot, there are actual photos of him, such as this comforting portrait.